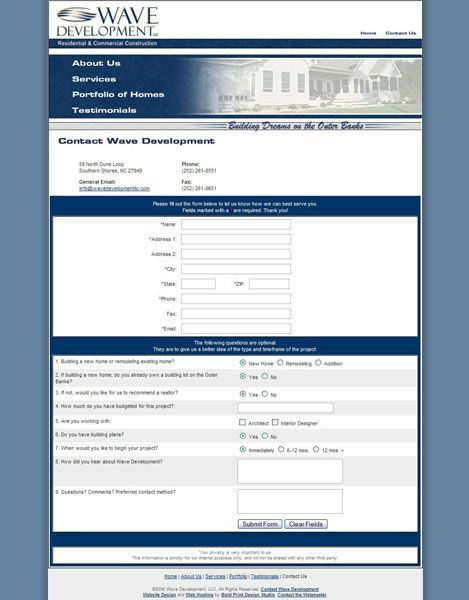 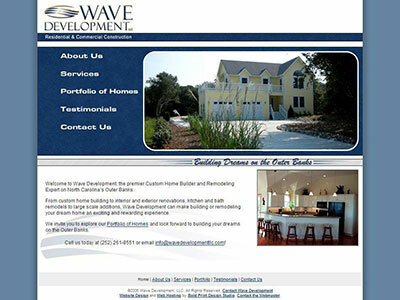 A basic informational website developed for a construction company located in Southern Shores on the Outer Banks of North Carolina. 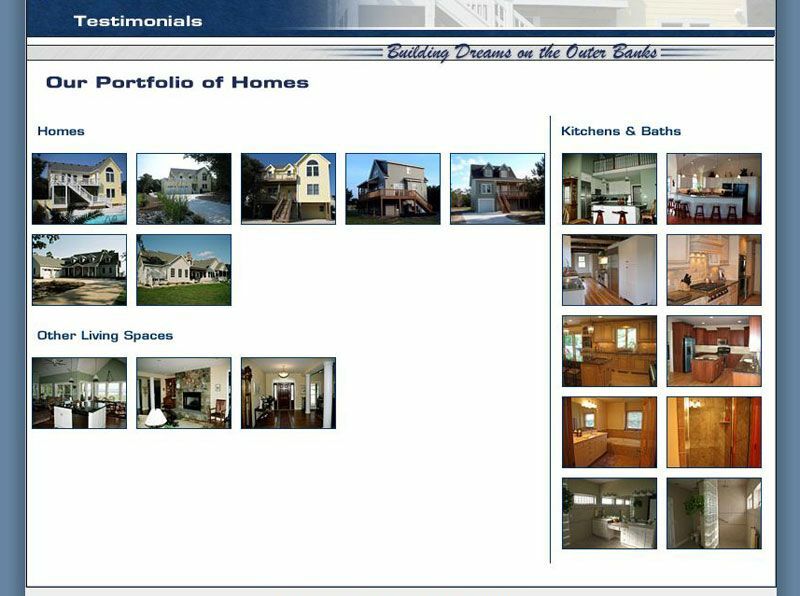 The feature of the website is the Portfolio of Homes image gallery that we created to display their completed projects. 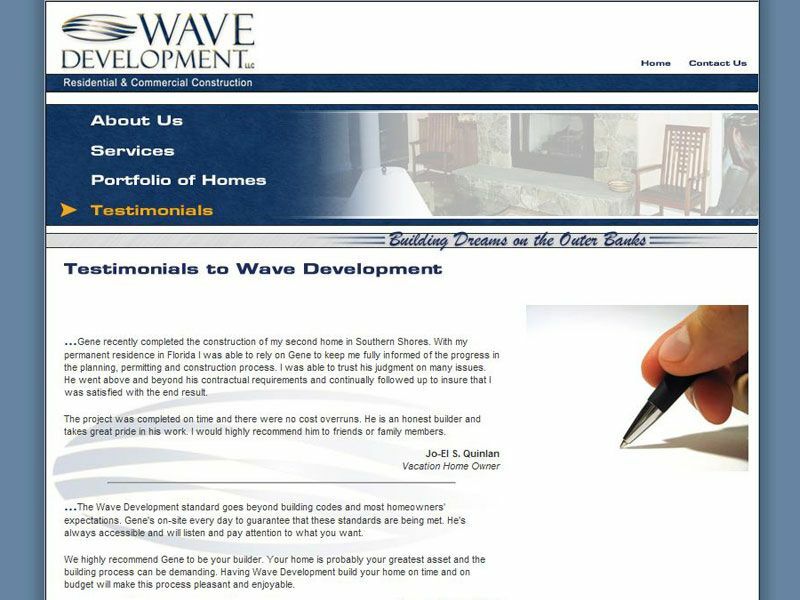 A Testimonials page that they can add new testimonials builds confidence in the company. 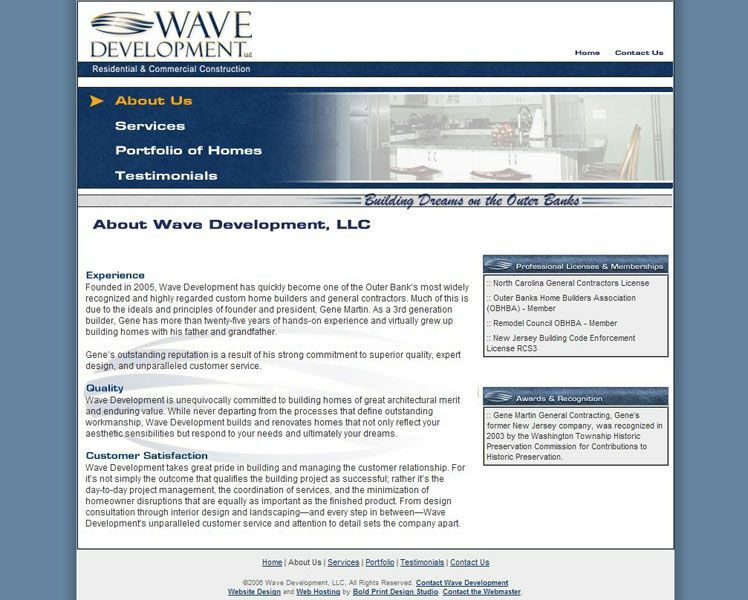 We also created the logo.